To see if any cases referenced in your (or opposing counsel's) document have negative treatment, use the CARA A.I. 's Cited In function. The Cited In page will list cases that were cited in the document you uploaded. 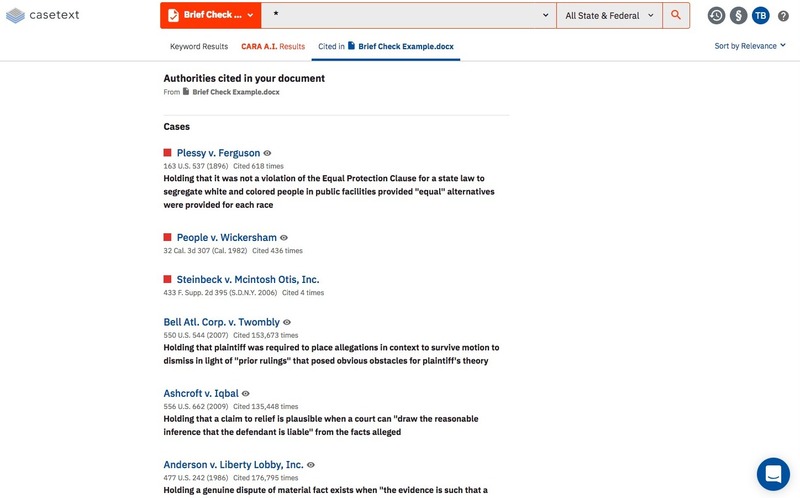 If our Citator has determined that a case has negative treatment or has been overruled, that case will be listed at the top of your Cited In results. In this example, the document uploaded has three cases that are good law, and three cases that have been overruled or contain negative treatment. More information about the Casetext Citator can be found here.